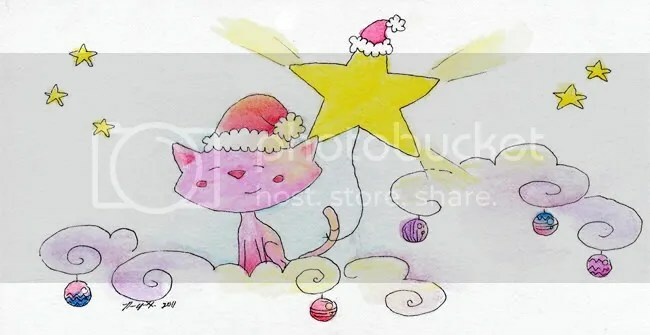 This entry was posted in artwork, traditional artwork and tagged artwork, baubles, cartoon, cat, clouds, illustration, ink, kitten, kitty, pink, ravenari, star, startail, tail, traditional art, watercolor, watercolour, watercolour pencils. Bookmark the permalink. No way will 2012 be all that I desire! 😀 But I hope it holds true for you. Hurrah, that’s what I was exploring for, what a information! present here at this web site, thanks admin of this web page.